The CW announced Monday that freshman shows The Originals and The Tomorrow People will be getting full season orders meaning that their “Back 9” episodes have been picked up and they will each have twenty two total eps for their first seasons. For The Originals, that comes as no shock as it counts as a true hit by CW standards and is currently the third highest rated scripted show on the network. The Tomorrow People is a bit more surprising seeing as that show has dropped notably since its debut, but then this is not unprecedented for The CW as they did the same with The Secret Circle and Beauty and the Beast. The fifth place network tends to have more patience with shows that are pulling mediocre ratings, and they give them a chance to see if they can build up their audience (sadly, it has not panned out too well in recent seasons). The full season order is not the same as a renewal, though, but it still means that the network hasn’t given up on the show yet. 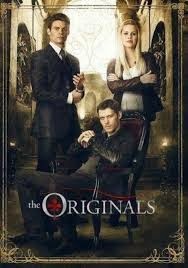 At this point, The Originals looks to be in good shape to ride into a second season renewal, but we will have to see how The Tomorrow People tracks through the rest of the season to make a better determination on it. Last Friday, NBC’s Dracula continued its ratings slide which has now turned into an all out death spiral. That show debuted just a few weeks ago to a 1.8 rating in the 18-49 demographic which was an impressive achievement for its late Friday night timeslot. But it dropped by five ticks the next week then four this last to see its ratings numbers cut in half to only a 0.9 score. Based on these numbers, this show has almost no chance of surviving past its initial ten episode run short of a miraculous ratings turn around, so I am bumping up its Cancellation Alert to Elevated. Also in trouble is ABC’s Once Upon A Time in Wonderland which slipped yet again last Thursday, this time to a 0.9 rating with 3.6 million total viewers and came in fifth place among the broadcast networks in its timeslot. The network hasn’t pulled it from the schedule or kicked it to Fridays yet, so they may ride it out through its limited run, but don’t expect any sort continuation for the series beyond its initial order. And The Beauty and the Beast continued to fly low on Mondays as it pulled another 0.3 rating with just 900k total viewers. It was not among the shows that The CW gave full season orders to which almost assures that it will be gone by mid-season to make room for the other shows that network has waiting in the wings. In other ratings news, Sleepy Hollow improved its numbers a bit as it pulled a 2.6 rating in the 18-49 demo (based on the final numbers) with 7 million total viewers. Expect this one to hover in this area throughout the rest of its initial season. On Sunday AMC’s The Walking Dead experienced a notable drop as it pulled “only” a 6.2 rating with 12.2 million total viewers. That just means that the show’s ratings are coming back down to Earth a bit, but it still outpaced all non-sports related programming on cable or the broadcast nets for the past week in the 18-49 demographic. ABC’s Once Upon A Time fell to a 2.1 rating with 6.7 million total viewers which matched its season low. It’s still doing well enough on Sundays where the broadcast nets are struggling in general and its in its third season, so it is still safe for now. On Lifetime, The Witches of East End pulled a 0.6 score with one and a half million total viewers which counts as a decent performance for that network. On Friday, Grimm took a hit as is slipped to a 1.3 rating in the 18-49 demo with 4.9 million total viewers. That show tends to fluctuate with its numbers, though, and I would expect to see it rebound with its next airing. The Neighbors held steadily low with a 1.0 rating (adjusted down from the preliminarily reported 1.1 score) with 4.5 million total viewers. And that was despite the fact that the episode delivered a cross-over with ABC’s popular reality series Shark Tank so consider it still very much in trouble. Syfy’s Haven actually improved its numbers on that night to a 0.5 rating with 1.7 million total viewers. It’s going to have to stay at that level or perhaps even higher if it wants to win a fifth season, though. And on Thursday, Vampire Diaries improved its numbers (after taking a dive on Halloween) to a 1.3 score with 2.6 million total viewers. It beat out The X-Factor on FOX and Once Upon A Time in Wonderland on ABC to take third place in its timeslot, a rarity for a show on the fifth place network. Here are the season to date numbers and standings through November 11th for all the shows that have bowed so far (sorted by most likely to get cancelled). The preliminary numbers for the Tuesday night shows will be available later this morning, so keep an eye on the Cancellation Watch Twitter Site for those and other ratings-related news. You can see the current status for all this season’s genre show at this link. And for more information on the ratings numbers and how I determine the Cancellation Alert status of a show, see the Cancellation Watch FAQ. Description: Coming out in November — Look! Up in the Portland air… It’s a bird, it’s a plane, it’s… A superhero?! When a teenage Wesen decides to use his abilities to become a real life superhero, Nick is forced into protecting the protector who finds himself over his head. Description: The origin of STAR TREK’s greatest villain continues here, in this all-new mini-series overseen by STAR TREK writer/producer Roberto Orci! Witness the never-before-seen outbreak of the legendary Eugenics Wars and behold Khan Noonien Singh’s brutal rise to power, as the secret history of the future is finally revealed! Description: The comic book tales of Star Trek have roamed the universe and spanned publishers, but now Star Trek: The Stardate Collection collects the many iterations of Trek in order . . . by stardate! Helmed by Star Trek experts Scott and David Tipton, and featuring special commentary and creator interviews, volume 1 starts at the beginning to reveal the motives, machinations and decisions that shaped the intrepid crew of the U.S.S. Enterprise. For new and old fans alike, there’s never been a Star Trek collection like this!